When it comes to bed bugs, many people assume (and hope) that the insects will never creep into their home or that infestations only occur in large, bustling cities. However, this is not true. Bed bugs are found in all 50 states, though reports are three times higher throughout urban areas than rural areas. Wherever bed bugs are found, taking care of them efficiently and effectively is crucial. Bed bug detection dogs are the most effective way to detect and remove these infesting insects. 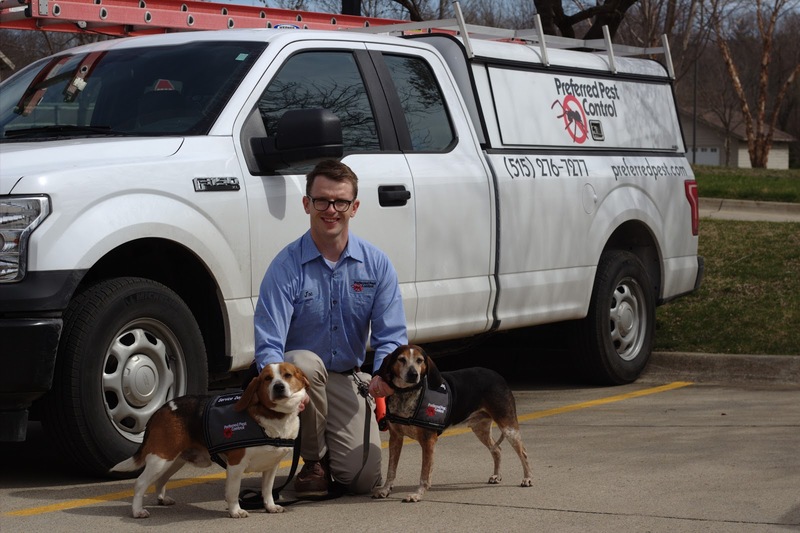 At Preferred Pest our leading canine bed bug detection dogs, Scout and Radar, are diligently trained for two hours every day of the week and are continually improving their detection skills. Scout, Radar and their trainer all have certifications from World Detector Dog Organization (WDDO) and will detect the odor of bed bugs within your Des Moines home or business. 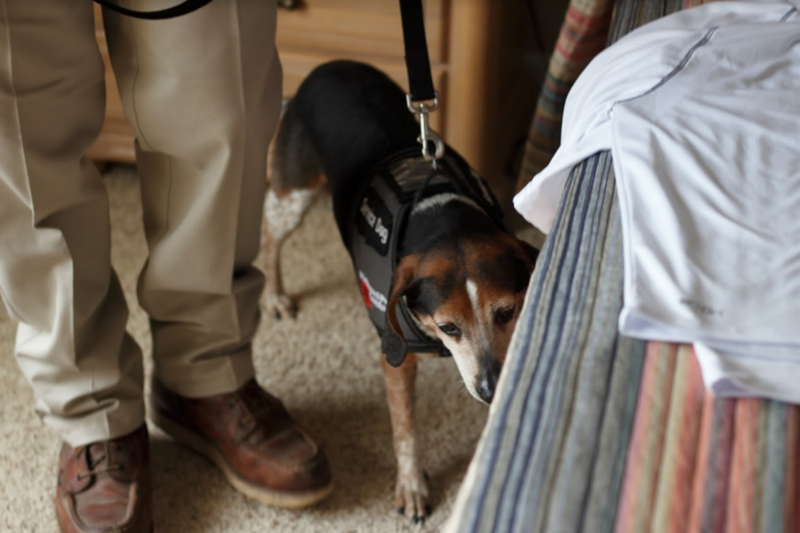 Learn about the life of a bed bug and see why bed bug detection dogs are the most effective solution for bed bug detection! Bed bugs are reddish-brown in color, flat, oval, and tend to be about 1 1/8 of an inch long. They live up to ten months and if necessary can survive for long periods of time without feeding. Bed bugs are typically found in cracks and crevices throughout homes. Their go-to locations include mattress seams and sheets, furniture, hiding beneath baseboards, electrical plates, picture frames, etc. These pests are also often found in hotels where they move from room to room and even into guests' luggage and personal belongings. A bed bug's diet consists only of blood. These pests are known to feed throughout the night when their host is asleep. Want to learn more about bed bugs? Check out our pest library! Bed bug detection in the Des Moines metro can be difficult due to the vast spaces where these pests can hide. At Preferred Pest, we utilize our canine detection services to find bed bugs and efficiently treat and remove them from any property. Meet our canine bed bug detection team, Scout and Radar! Scout is the newest member of Preferred Pest's Des Moines bed bug control team. He is a two-year-old purebred beagle and is eager to keep bed bugs out of your home or business. The veteran of our bed bug detection team, Radar, received his training from the leading experts at J&K Canine Academy. Scout and Radar are canine bed bug experts and can sniff out any bed bugs you may have. The best dog breeds for bed bug detection are bloodhounds or beagles like Scout and Radar. These two breeds are ideal due to their ability to seek out prey. In addition to their breed, dogs are also chosen based on their level of energy and drive to please their handlers. Bed bug dogs are typically rescued from local shelters and then trained through various facilities across the U.S., such as the J&K Canine Academy where Radar trained, or Scentworx in High Springs Florida where Scout trained. 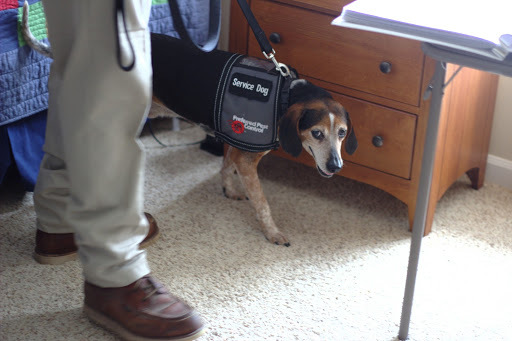 The ideal age to start bed bug detection dog training is between eight to twelve months. It takes approximately 500-600 hours of training for the dogs to be eligible for certification. Bed bug detection dog training begins with basic obedience and moves on from there once their handler has assessed their temperament and any other tendencies that would interfere with their bed bug detecting duties. Many of the hours spent training are held in mock hotel rooms or staged locations where the bed bugs are placed in natural hiding places for the dogs to find. Throughout training one of the most important things for the dogs to learn is the difference between dead and live insects. It is important to teach them these differences to ensure the dogs do not identify false positives, such as an old infestation that is no longer a threat. When it comes to overall training, it's essential to teach the dogs search patterns to ensure they are properly inspecting a home or business. The goal is to develop these search patterns so that the dogs can detect odors in unusual locations, such as behind walls or within furniture. To become certified, the dogs and their handler are given 20 minutes to search a building where they will go through various sized rooms and scenarios, and the dog will need to pinpoint and show (through pawing the floor) where the bed bugs are. If they pass this portion, they will become certified! At Preferred Pest, we understand how important proper bed bug detection, treatment and removal is. Through our cutting edge bed bug solutions, we will have these pests out in no time. Don't wait until it is too late and you have an infestation on your hands. If you or your loved ones fear that you have bed bugs, contact a pest professional immediately. You can schedule an appointment with us online or call us at (515) 276-7277.